Vanvugt Greenhouse is more than 100 years old. It got the name “Vanvugt” in 1960 and stretches out to 16,000 sq. ft. in area. They have a separate stock room and retailer space. Angela and Pete VanZvyerden bought the business in 2001. They have a strong background in growing. You will be able to find a wide variety of annuals and perennials to choose from. They grow all the plants in their greenhouse. Customers can get customized plants if ordered in early spring to pick up when the temperature is right. You will be able to find an interesting variety of plants which you would not find anywhere else. Pete and Angela take pride on the quality of their products and competitive pricing. They excel in customer service and have 5 employees to take care of their customers. Pete and Angela are always available to help people make their planting choices. They have a very extensive inventory system to keep up on the quality and quantity of the plants.  They have been supplying Owen Sound with their beautiful flowers each summer and will now extended this to Wiarton this year.